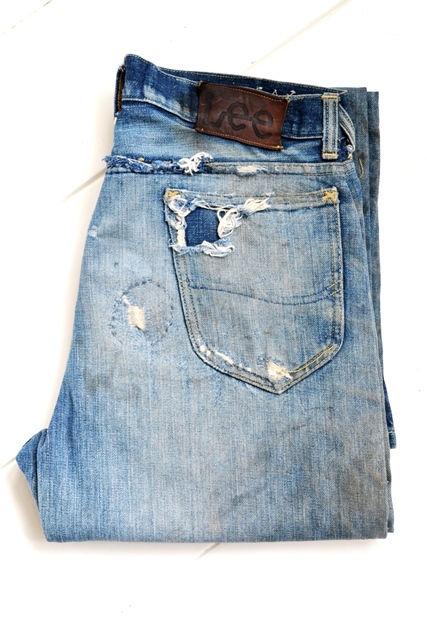 This vintage pair of Lee Jeans is one of the many treasures from my personal denim archive. 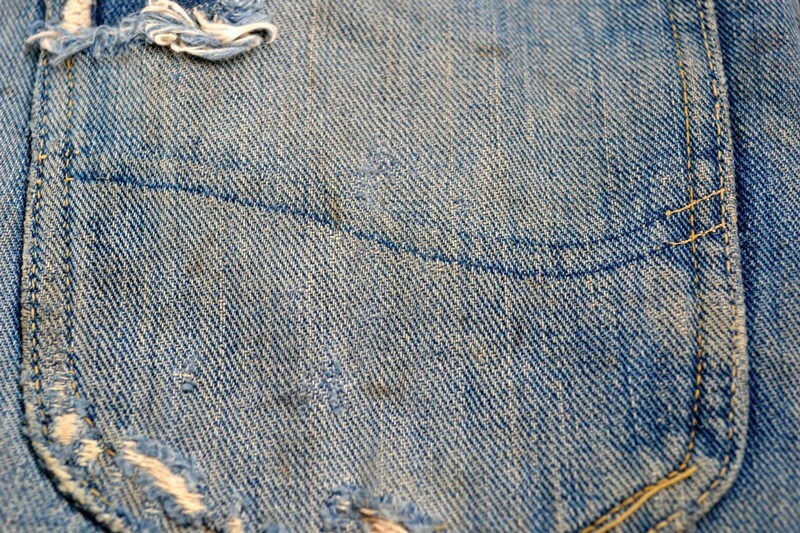 It’s an original Lee Cowboys Jeans from the mid ’40’s. 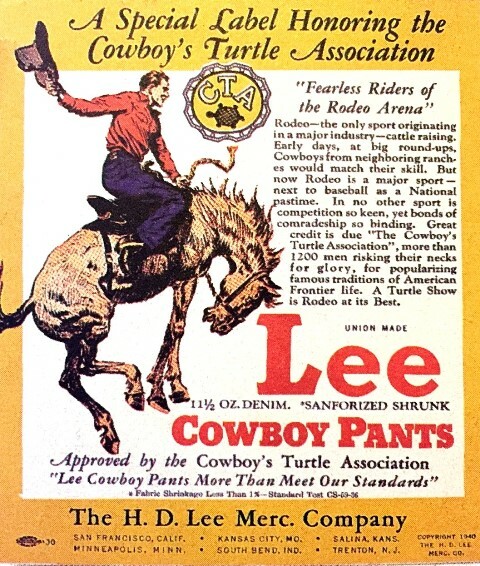 The first Lee Cowboys Jeans were introduced in 1924. 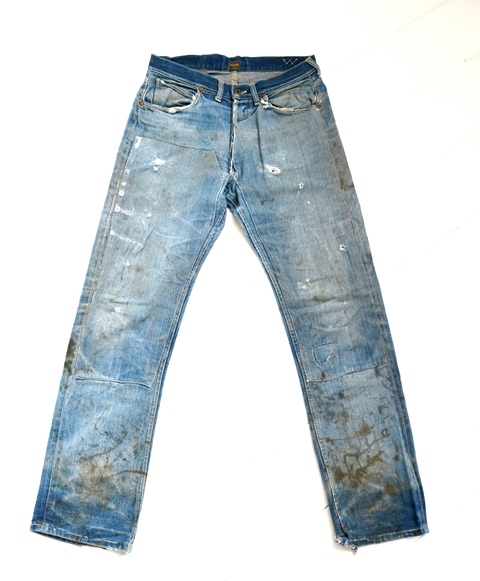 It is probably the first denim pants which was designed specifically for cowboys and rodeo riders. 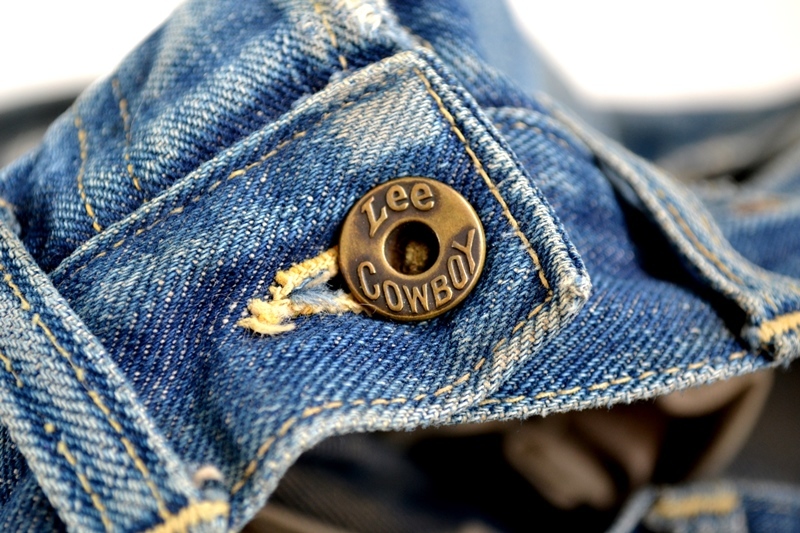 The Lee Cowboys Jeans is designed with the so called U-shape saddle crotch and button fly. 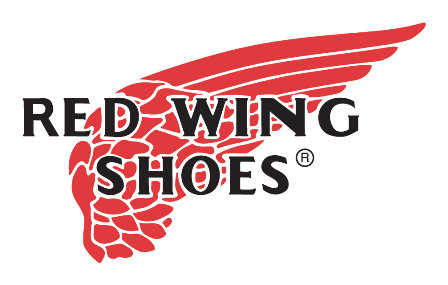 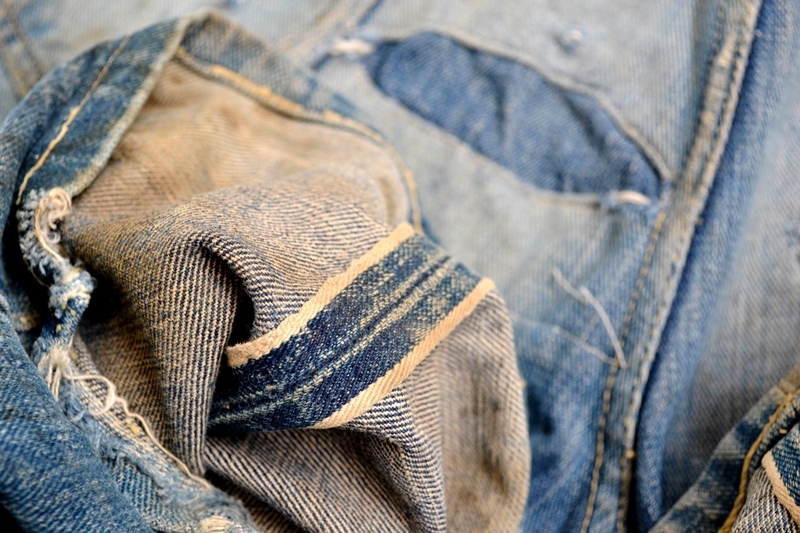 It was designed with the specific needs of cowboys and rodeo riders, as the cowboy life became the biggest promoter for jeanswear in that time. 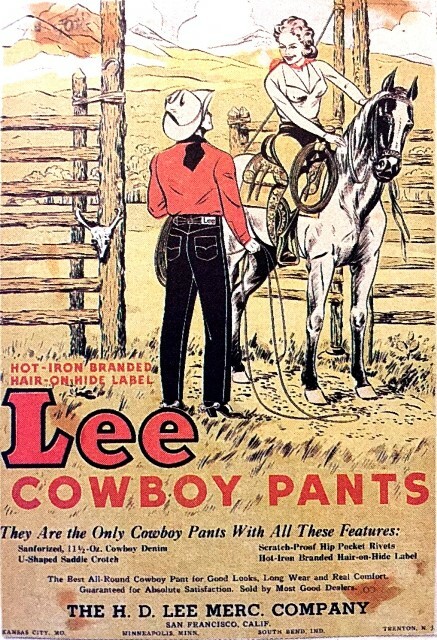 The first Lee Cowboys Pants were made from 11.5oz denim, also known als 101 jeans. 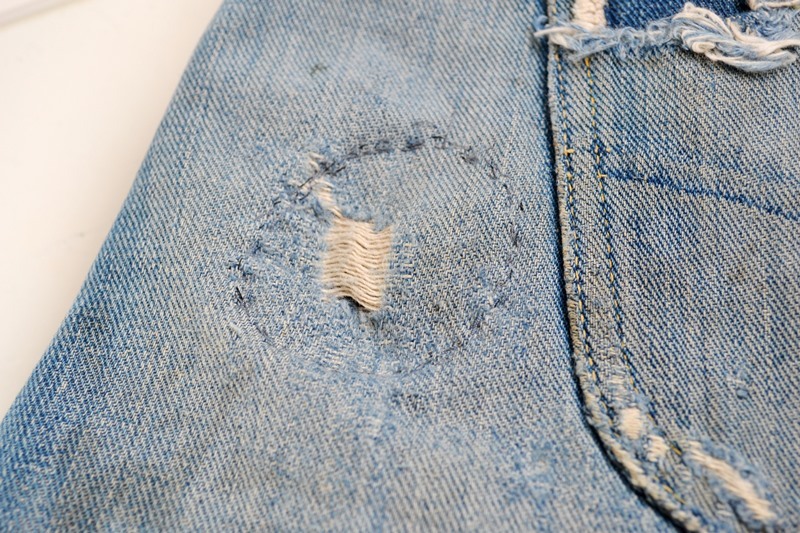 In 1924 Lee Jeans introduced also their X bar tacking, this as replacement of the backpocket rivets. 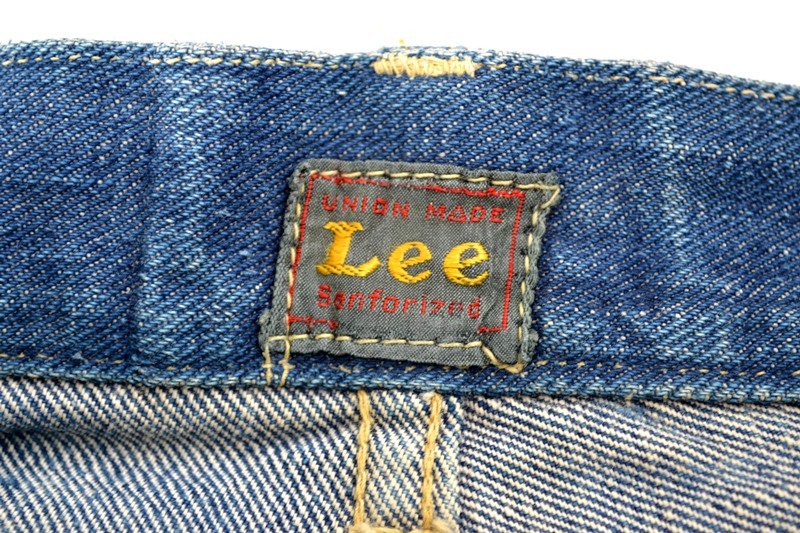 In 1944 Lee Jeans introduced the Lazy S back pocket stitching. 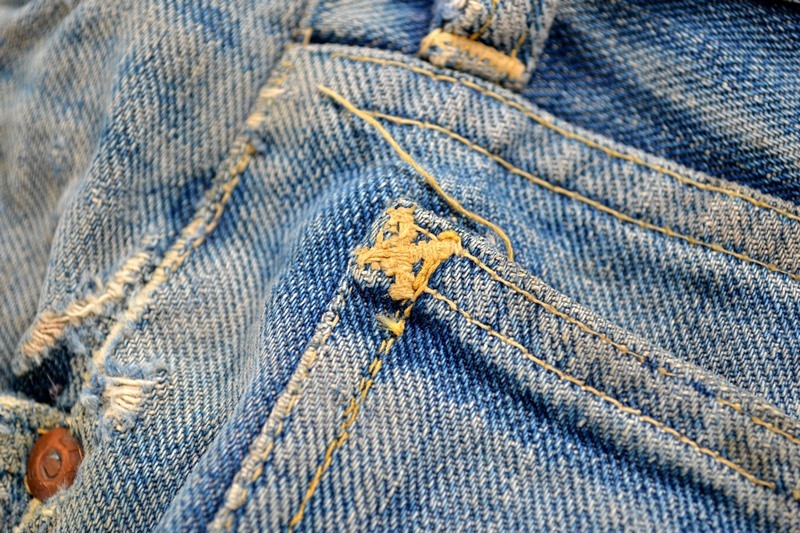 The stitches on both pockets resemble the shape of the famous Long Horns. 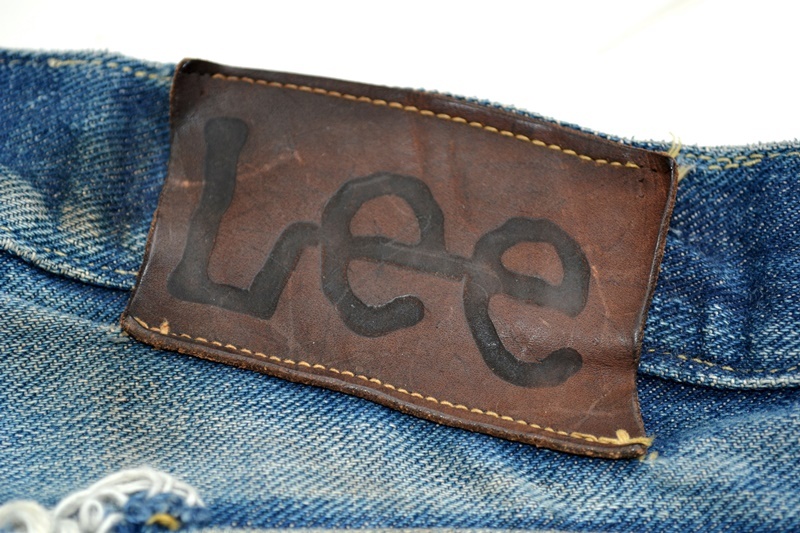 This was also the period that Lee Jeans changed their legendary Hair on Hide label (introduced in 1936) into the Twitch patch. 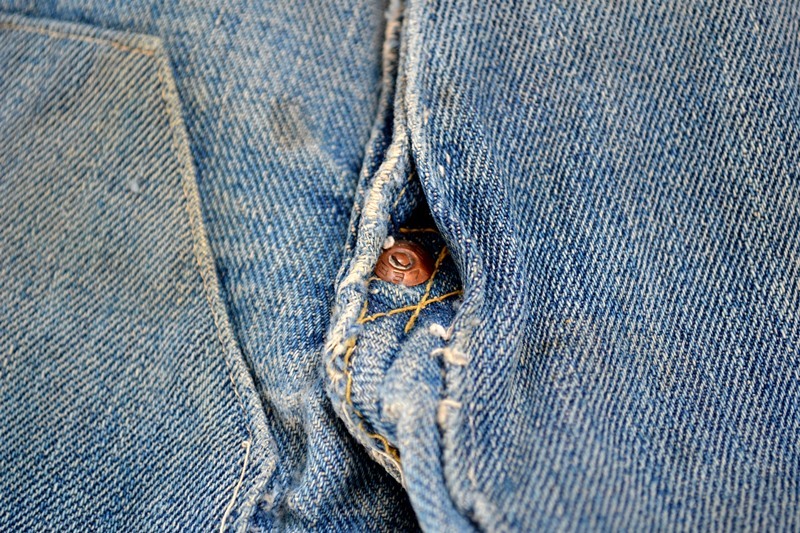 The Lee Cowboys Jeans also has the crotch rivet. 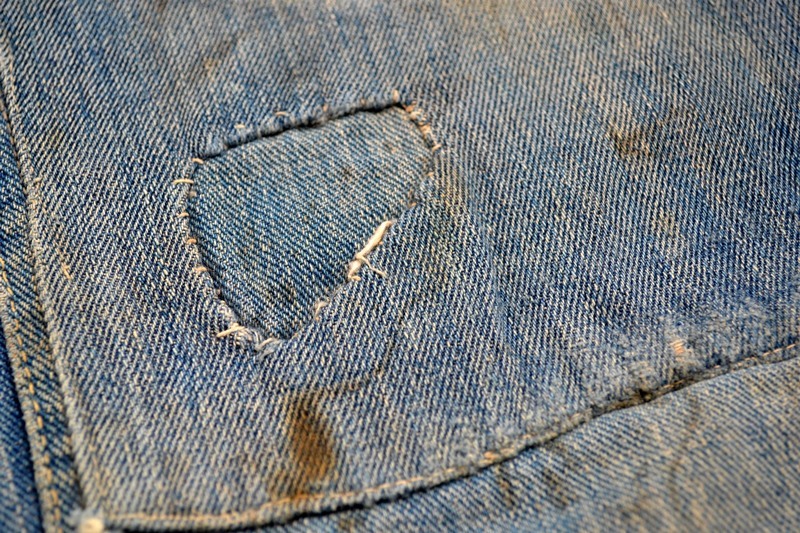 The crotch rivet disappeared later as a lot of cowboys were complaining that the crotch rivet became too hot when they sit around the campfire. 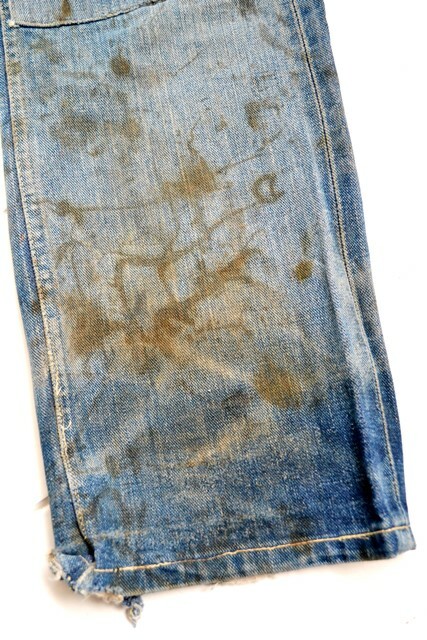 It was not very pleasant for their cross. 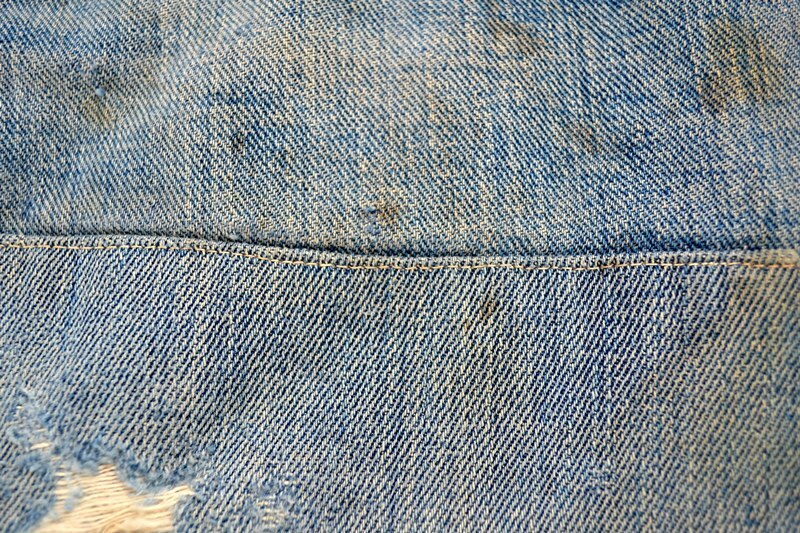 My pair of Lee Cowboys Jeans features all the specific details from here above. 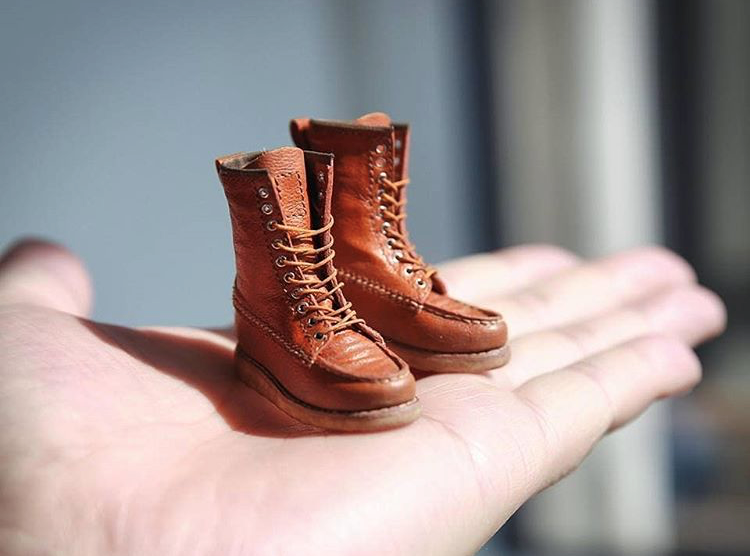 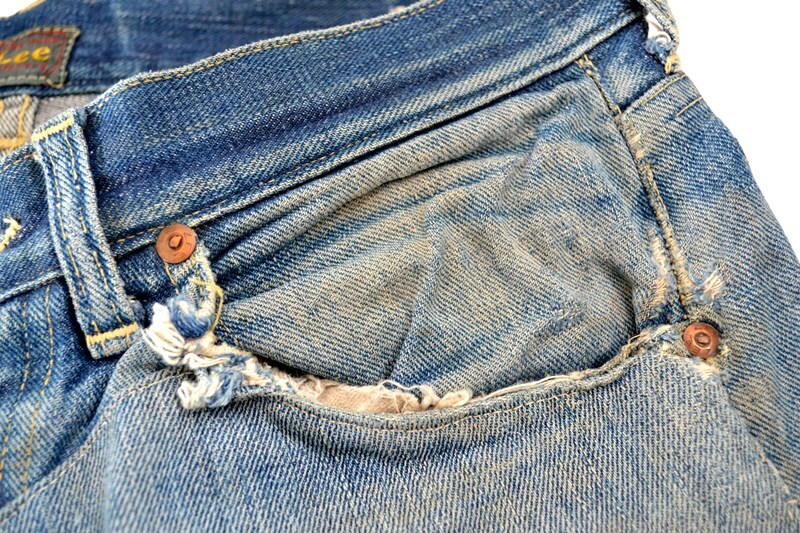 This pair was worn for a very long time as the fabric is totally worn-out. 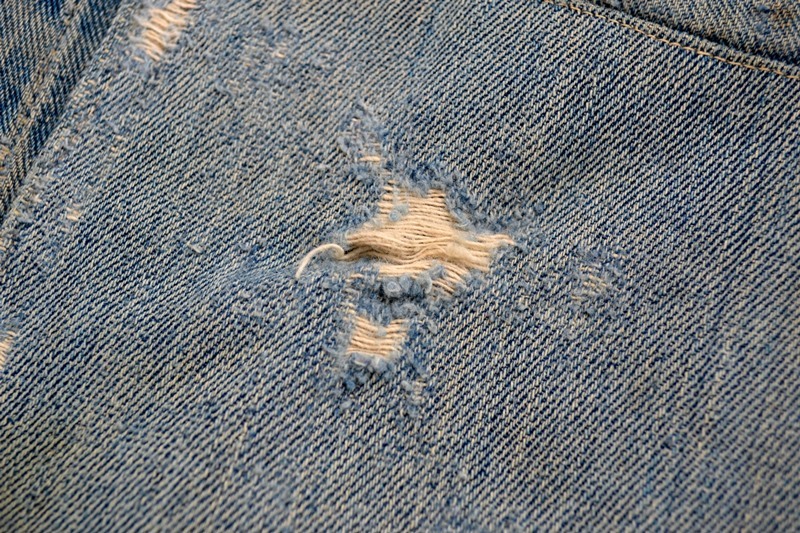 The previous owner repaired the jeans on the front with other fabrics. 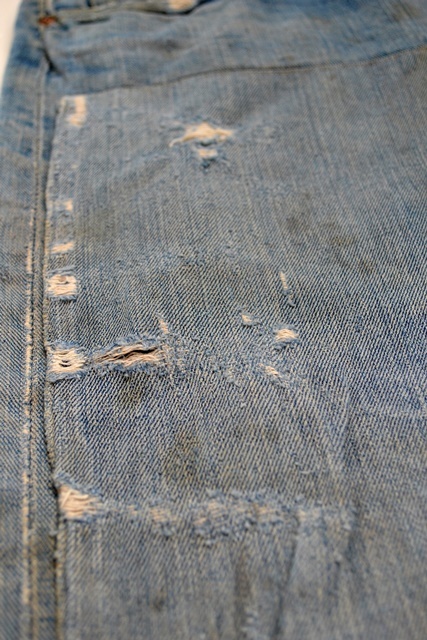 It’s interesting as the original jeans is made of left hand fabric, the repairs are right hand fabrics. 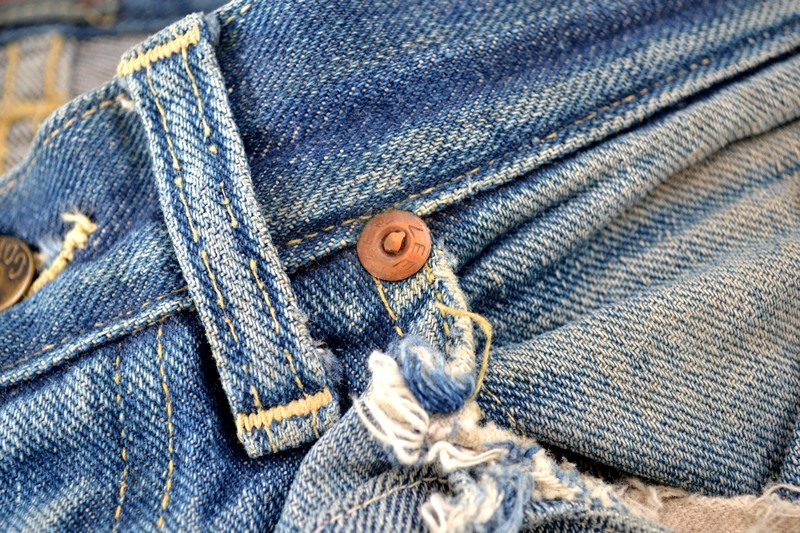 The jeans has a Lee Cowboys donut button and an Union Made looking up ‘ee’ label. 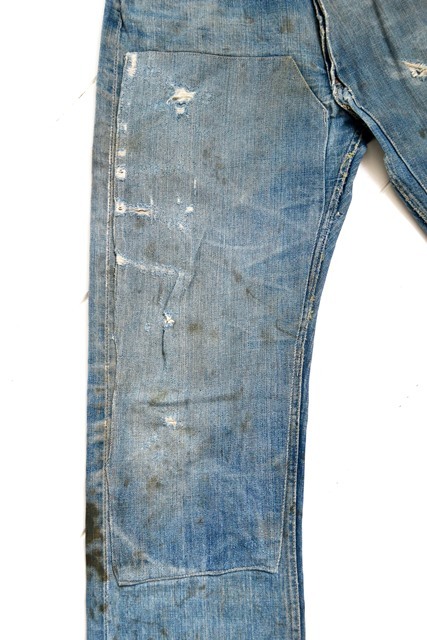 The crotch rivet is covered with repair fabrics. 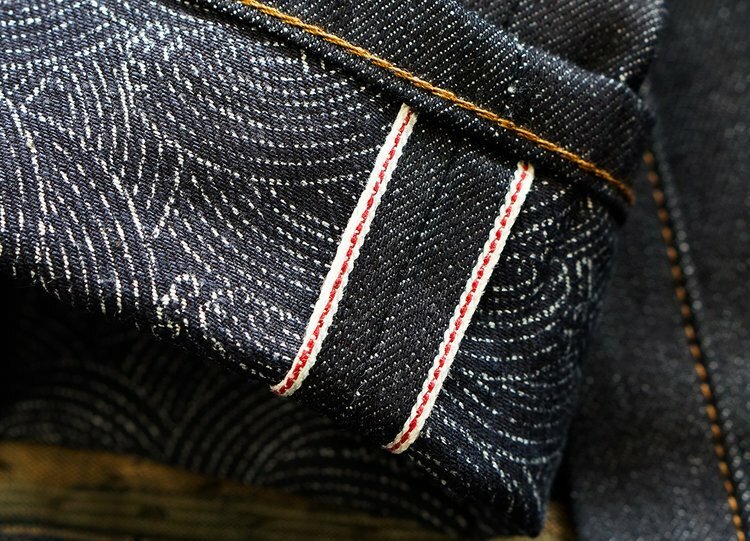 The selvage is plain. 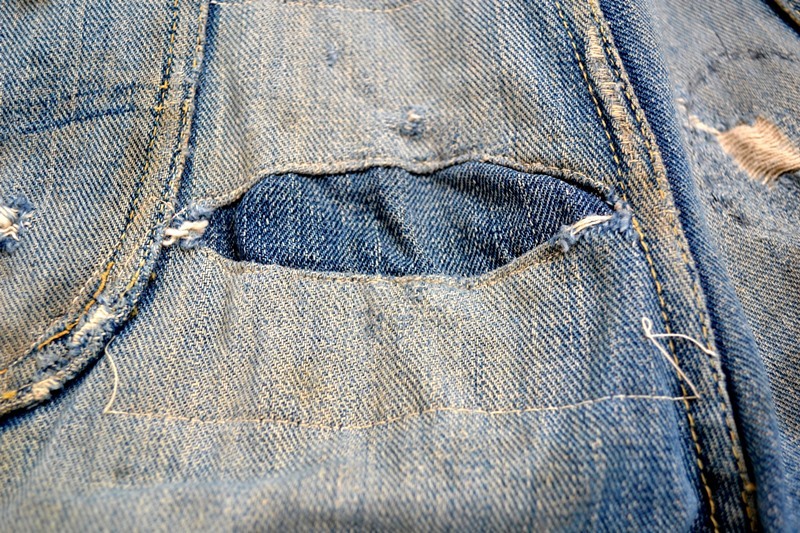 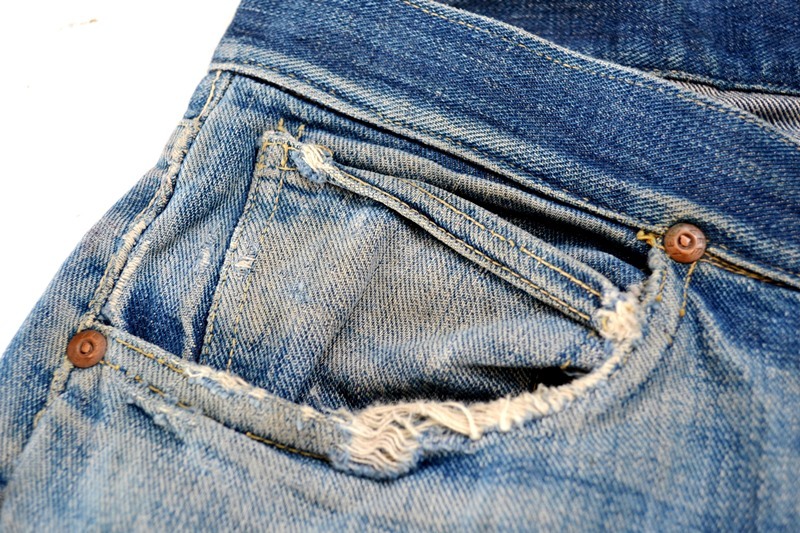 On the back of the jeans you see some old school repairs between the two backpockets. 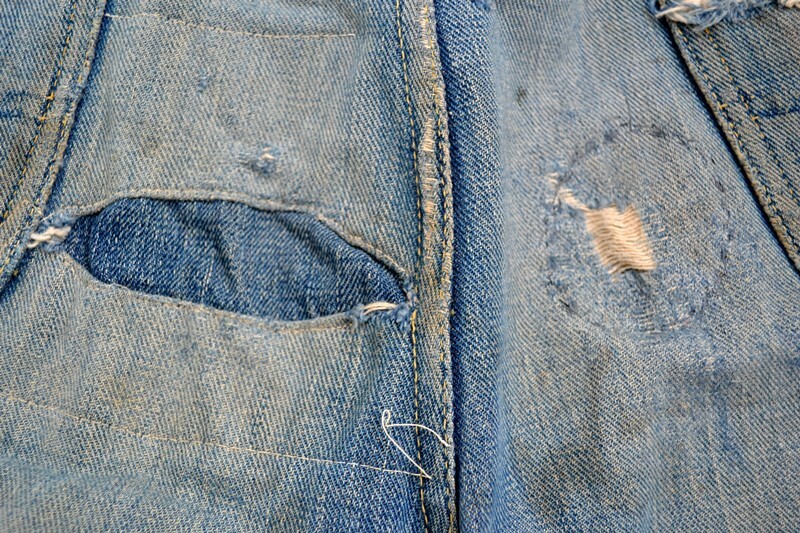 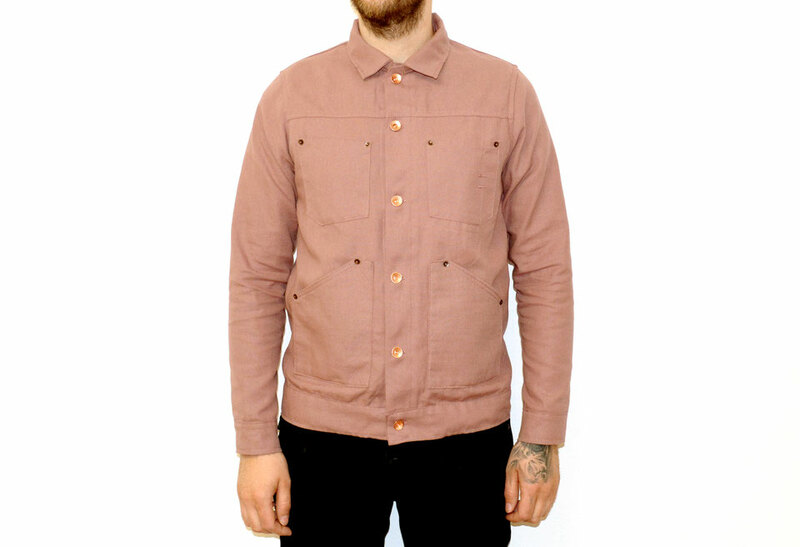 The Lazy S stitching on the backpockets are almost gone, but the X bartack pocket reinforcements are still there. 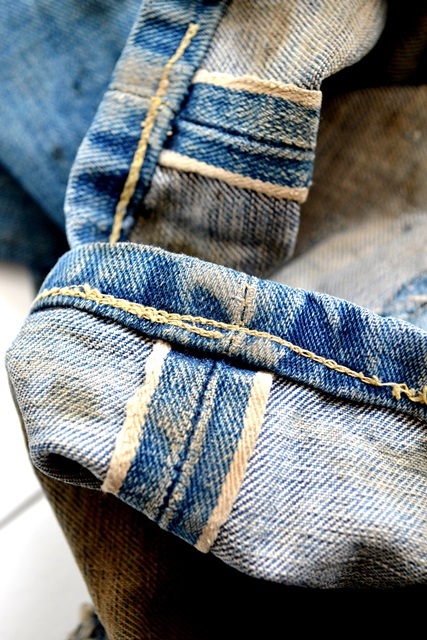 The jeans shows some light honeycombs. 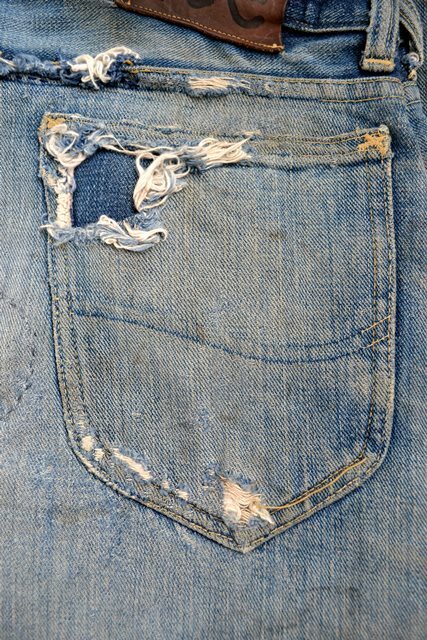 The Twitch patch is still on the jeans. 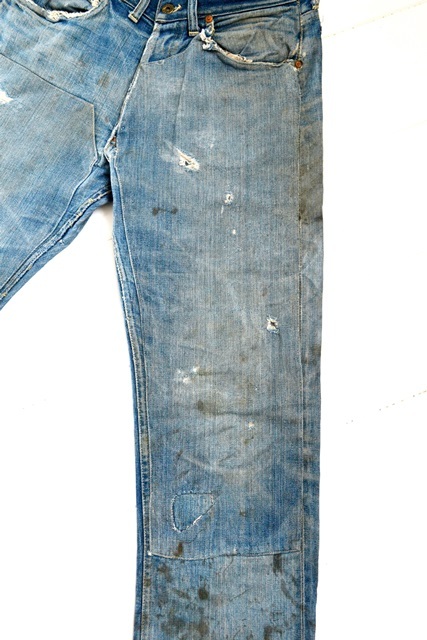 This Lee Cowboy Jeans was found in an old abandoned house years ago in Colorado – U.S. 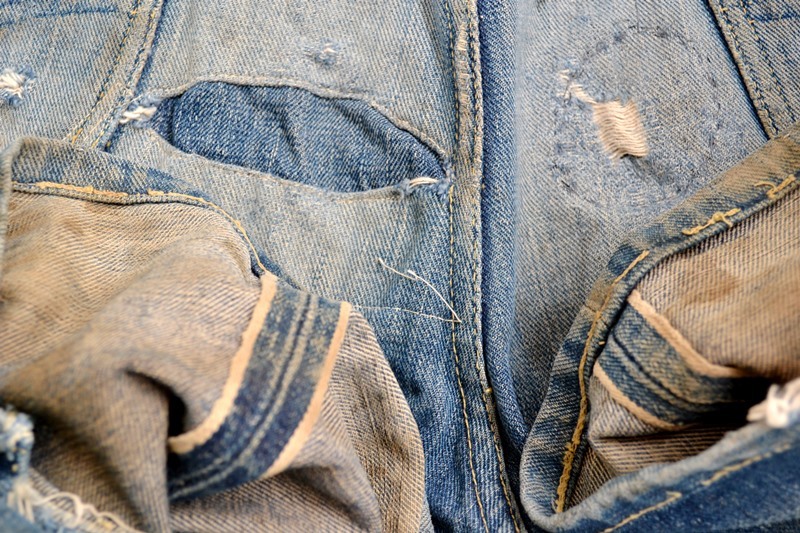 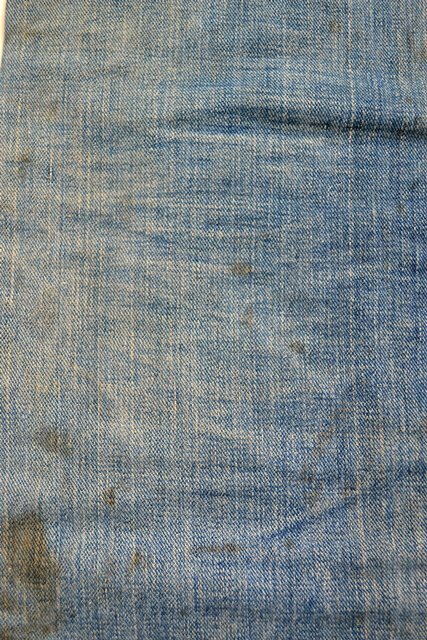 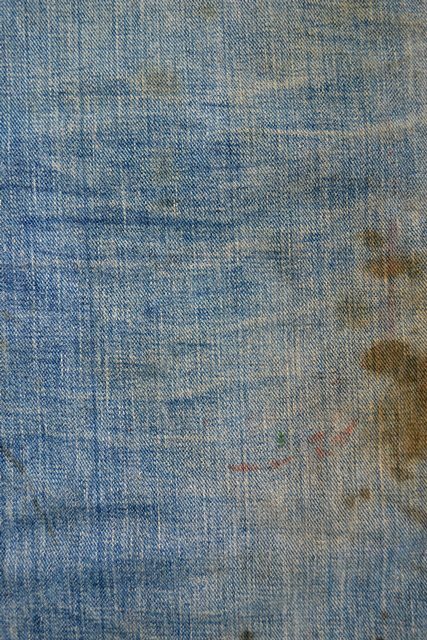 This jeans, full of historical denim details, is part of my denim archive. 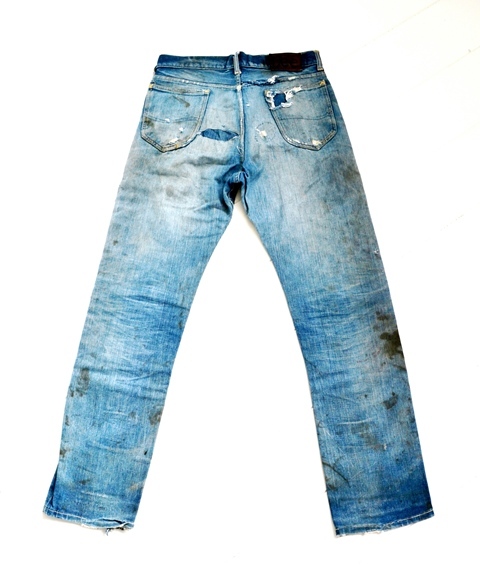 Check the beautiful characteristic Western jeans here below. 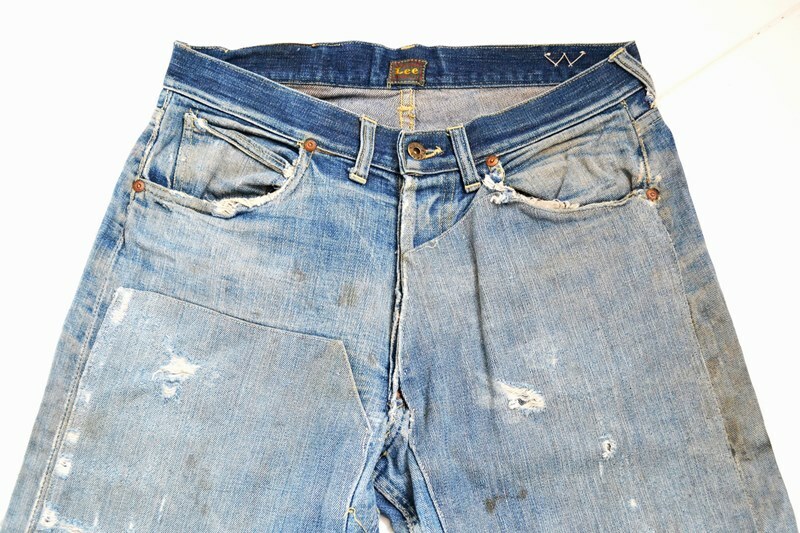 Congrats to this great and informative article about those vintage Lee jeans!!! 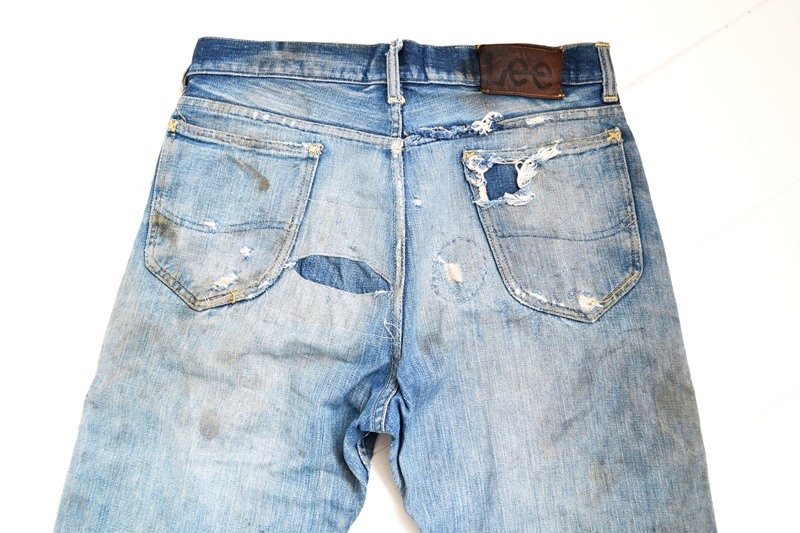 Wonderful old Lee jeans with beautiful frontleg repairs. 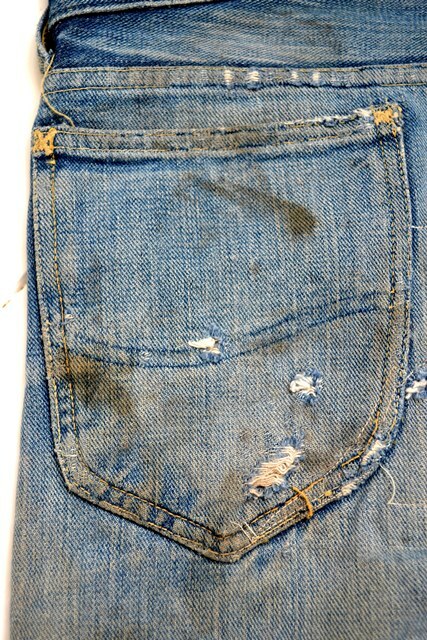 It is really a museumpiece, but I would prefer to wear this treasure (carefully of course) with pride!